1. Taos Pueblo: Taos Pueblo is the only living Native American community designated both a World Heritage Site by United Nations Educational, Scientific and Cultural Organization and a National Historic Landmark. These multi-storied adobe dwellings have been are considered to be the oldest continuously inhabited communities in the U.S. — and have been inhabited for more than 1,000 years. 3. Historic Taos Plaza: The Historic Taos Plaza has been the center of local trade and community events for centuries. Today, old mercantile stores house galleries, restaurants and shops. Nearby, Kit Carson Road, Bent Street, and Ledoux Street lead to even more historic homes, neighborhoods and shopping areas. 4. 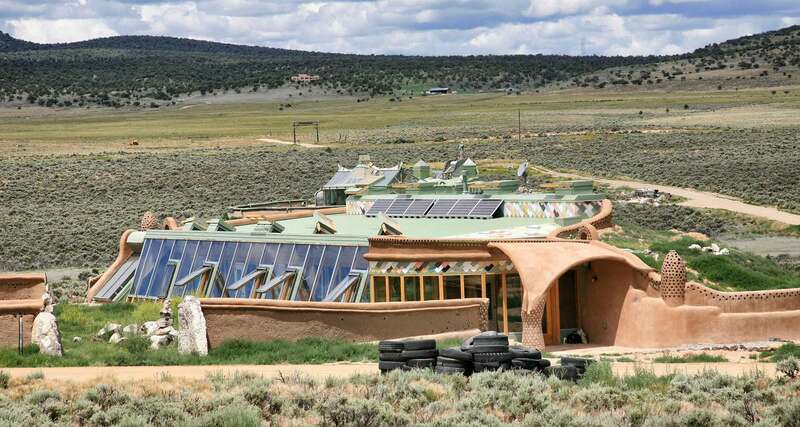 Earthship Biotecture: Earthship Biotecture is a passive solar house that is made of both natural and upcycled materials, such as earth-packed tires, pioneered by architect Michael Reynolds. Reynolds wanted to create a home that would do three things: utilize sustainable architecture, materials indigenous to the local area or recycled materials wherever possible; rely on natural energy sources so it would be independent from the “grid;” and be feasible for a person with no specialized construction skills to build. Eventually, Reynolds’s vision was transformed into the U-shaped earth-filled tire homes seen today. 5. San Francisco de Asia Church: Celebrating more than 200 years, the historic “Ranchos Church” was built in the early 1800s — and is the only original church which remains intact in the Taos area. San Francisco de Asis Church continues to be an integral part of the spiritual community. In fact, every June parishioners and community volunteers gather to re-plaster the church in adobe. This annual project is called “The Enjarre,” or “the mudding” of the church.